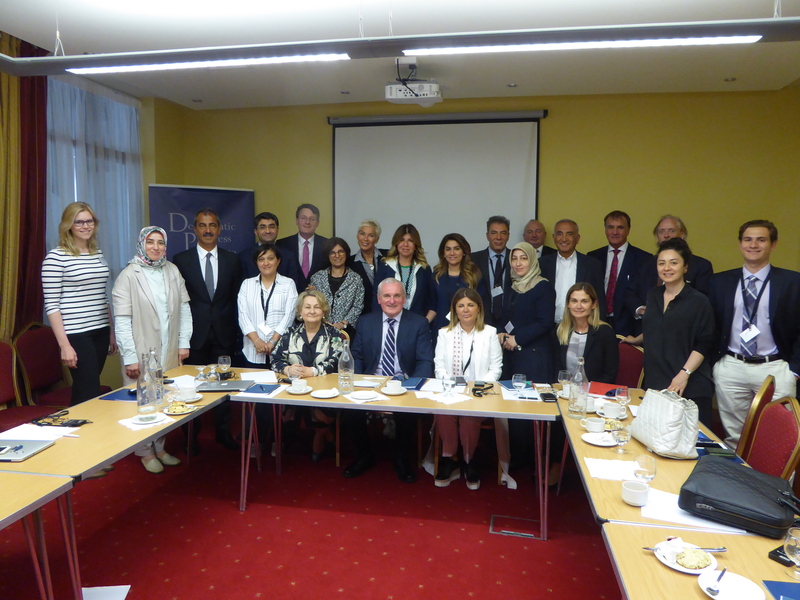 From July 10 to 13th 2017 DPI carried out a comparative study visit to Dublin and Belfast for senior members of Turkey’s business community to learn about the role of business in the Northern Ireland peace process and the effect of peace on the economy. Topics discussed included the benefits of peace for the Northern Ireland economy, how businesses influenced the peace process, the role of social enterprises in building community cohesion, cross-border trade between Ireland and Northern Ireland, and the role of sports organisations in conflict resolution. The delegation attended meetings in Dublin and at Iveagh House with business people involved in cross-border trade, journalists and diplomats including Mr Bertie Ahern, former Irish PM, and Mr Dermot Ahern, former Irish Minister for Foreign Affairs and Defence. In Belfast, the delegation met with business people directly involved in the peace process, academics, and representatives of Northern Ireland’s social enterprise sector. This was the first meeting of business representatives hosted by DPI with future activities forthcoming to build upon the discussions and topics of this seminal visit.